Diego Rivera is considered among the greatest Mexican artists. He is famous for creating murals that showed the struggles of the Mexican working class and indigenous Mexicans. His scandalous relationship with fellow Mexican artist Frida Kahlo remains a part of pop culture. Here are 10 interesting facts about the life and works of this controversial and famous Mexican artist. Diego Rivera was born on December 8, 1886 in Guanajuato, Mexico. His father Diego Rivera worked as a teacher, an editor for a newspaper, and a health inspector, while his mother Maria Barrientos de Rivera was a doctor. Diego had a twin brother named Carlos but he died less than two years after they were born. From the age of 10 Diego studied art at the San Carlos Academy of Fine Arts in Mexico City. In 1902, Rivera was expelled from the academy for leading a student protest. He then traveled through Mexico drawing and painting. Teodora A. Dehesa, the governor of Veracruz, Mexico, heard about Rivera’s talent and sponsored him to go to Europe to continue his studies. In Europe, Rivera was influenced by Impressionist artists and also by Picasso’s Cubism which was on the rise during that period. Rivera’s reputation grew with time and he was considered a genius who could turn his hand to any style including Impressionist, Post-Impressionist, Cubist and Flemish. 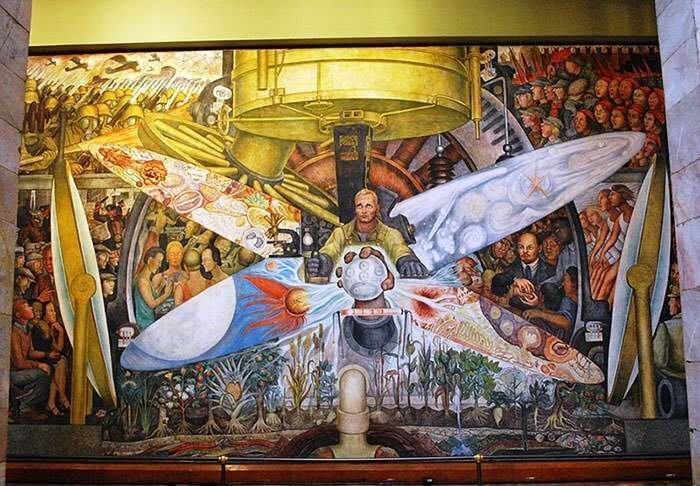 Diego Rivera believed that everyone should be able to view his art and hence he painted large murals (painting directly executed on the wall) on public buildings. His murals were known to depict the lives and struggles of the common man, mostly the Mexican working class and indigenous Mexicans. His first government-commissioned mural was titled Creation. It is considered one of the first important murals of the twentieth century. 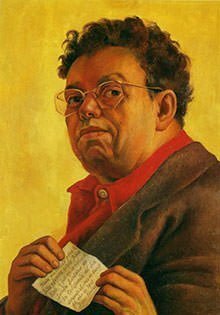 Along with David Alfaro Siqueiros and Jose Clemente Orozco, Diego Rivera is considered among the greatest Mexican muralists and together they are referred to as the Big Three of Mexican art. 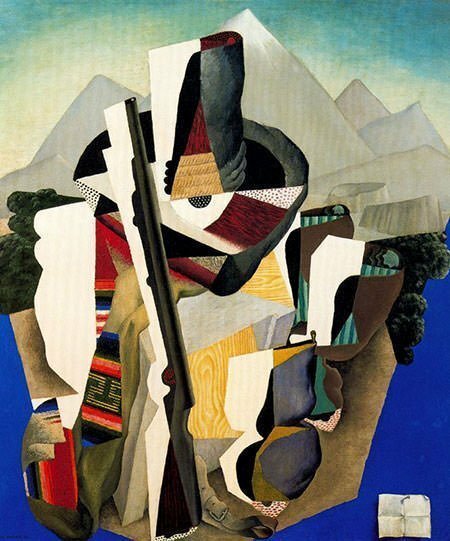 Diego Rivera created his own style which focused on Mexican heritage and culture; and was marked by flattening three-dimensional elements into two-dimension and presenting objects sturdier and broader than they were in reality. This art style was called Mexicanidad and gave rise to an art movement of the same name. Orozco, Siqueiros and Kahlo all referred to themselves as Mexicanidad artists. 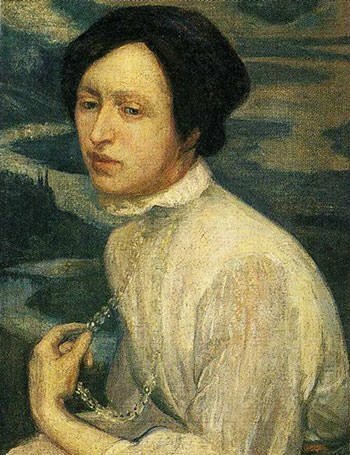 Rivera’s first wife was artist Angelina Beloff whom he married in 1911. He had a son with her. His second wife was model and novelist Guadalupe Marin. They married in 1922 and Rivera had two daughters with her. Rivera married Frida Kahlo in 1929 when he was 42 and she was 22. In 1955, a year after Kahlo’s death, Rivera married his agent Emma Hurtado. Diego Rivera met Frida Kahlo in 1927 when she was an art student and soon their relationship became intimate. Their marriage was tumultuous with both having multiple affairs. Frida had affairs with both men and women. Rivera even had an affair with Kahlo’s younger sister Cristina which infuriated Kahlo. They divorced in 1939 but remarried a year later. 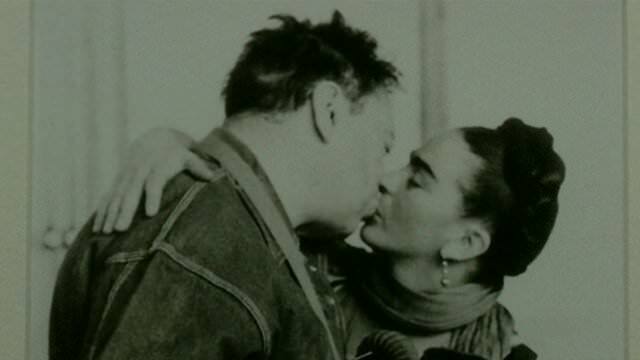 Although their second marriage was as troubled as the first, Kahlo and Rivera remained married till Kahlo’s death in 1954. Frida Kahlo became extremely famous a few decades after her death perhaps even more than Rivera. 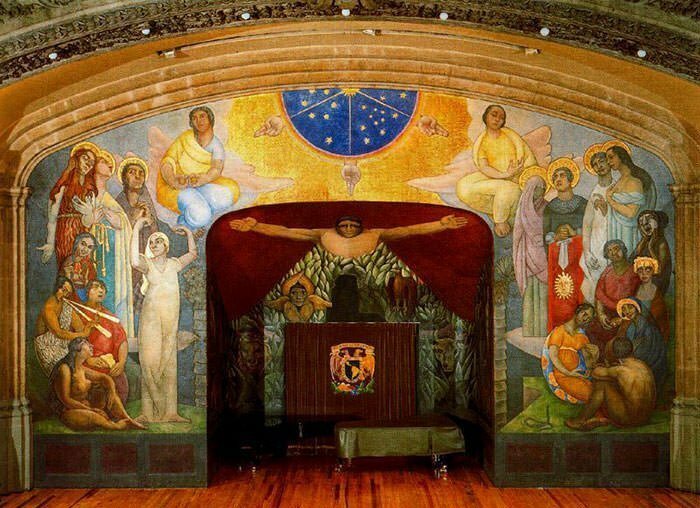 Between 1923 and 1926 Rivera created the frescoes in the Ministry of Education Building in Mexico City. Another famous series by Rivera are the Detroit Industry Murals. Completed between 1932 and 1933, the fresco series consists of twenty-seven panels depicting industry at the Ford Motor Company. Yet another popular work of Rivera is Man at the Crossroads which caused a controversy as it featured a portrait of Vladmir Lenin. His masterpiece is perhaps the frescoes he created for the Auditorium of the National School of Agriculture in Chapingo in 1927. The general theme of these frescoes is human biology and social development. Diego Rivera died of heart failure on November 24, 1957, in Mexico City, Mexico. 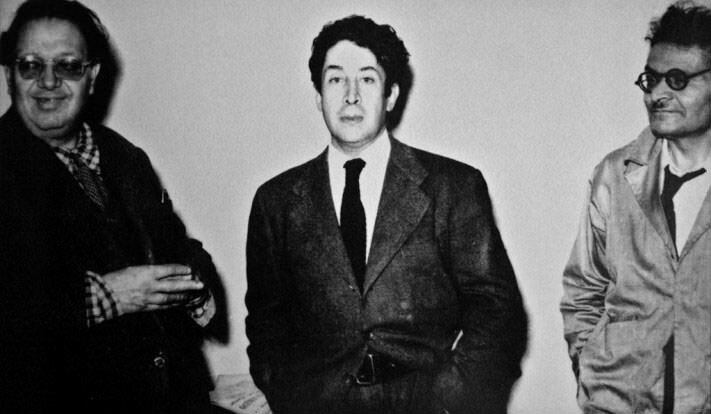 He is considered among the leading artists of the twentieth century. His art, though controversial in his time, is celebrated today across the world today. He is prevalent in popular culture and has been portrayed by Ruben Blades in the 1999 movie Cradle Will Rock and by Alfred Molina in the critically acclaimed 2002 film Frida. This was written by Anirudh Rawat, as mentioned at the end of the article.